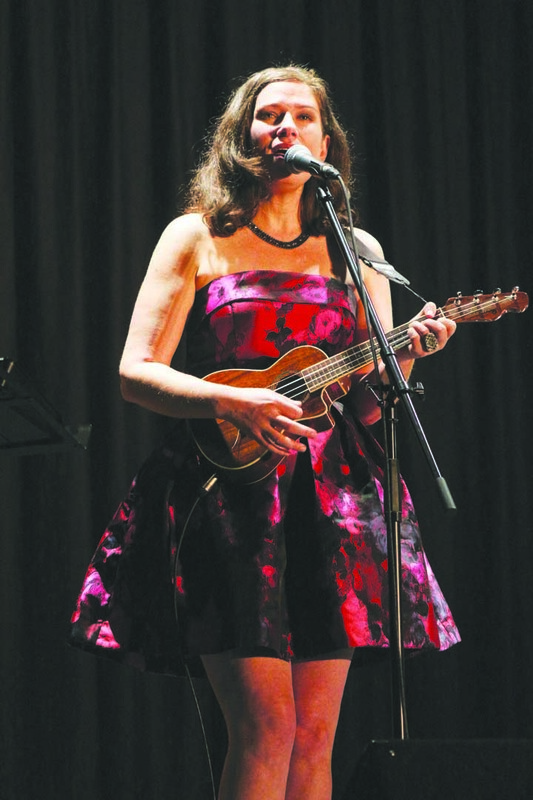 Recording artist Coco Love Alcorn performs for a crowd of about 100 people at the Norman Ritchie Community Centre on Oct. 19 as part of the Kindersley & District Arts Council’s Stars for Saskatchewan performing arts series. Alcorn, who led the crowd in more than one sing-along, performed with a full band, including a pianist, bassist and percussionist. She played music from throughout her career, including new music, and the musicians even made up songs on the spot using various items they collected from the crowd.